Celebrate with us 15 years of KISSsys and enter your application to win the KISSsys AWARD 2014! You are free to choose your own topic. We leave it to you – a highly complex kinematic model or a visionary model rich in imagination. Or are you more interested in interfaces with other programs such as vibration simulation or FE? 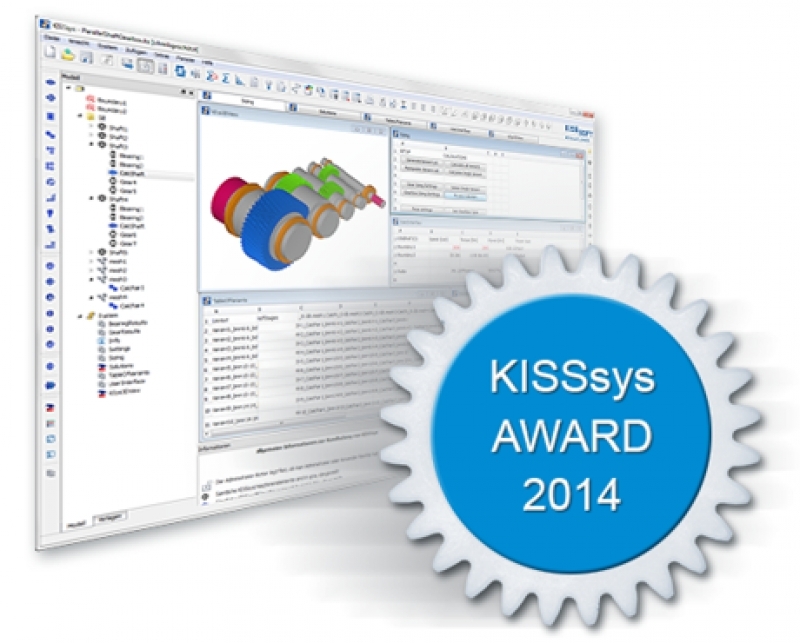 All that matters is that you design your model using KISSsys, the system add-on to KISSsoft. You can obtain a free license for the purposes of the competition (commercial use excluded) via registration form. Submit your KISSsys model until August 30, 2014 and convince our jury. We are looking forward to your participation! PS: You can also submit existing models.